In most homes the attic is the most underused room, usually serving the purpose of storage space for things we don’t need but are not ready to throw away. 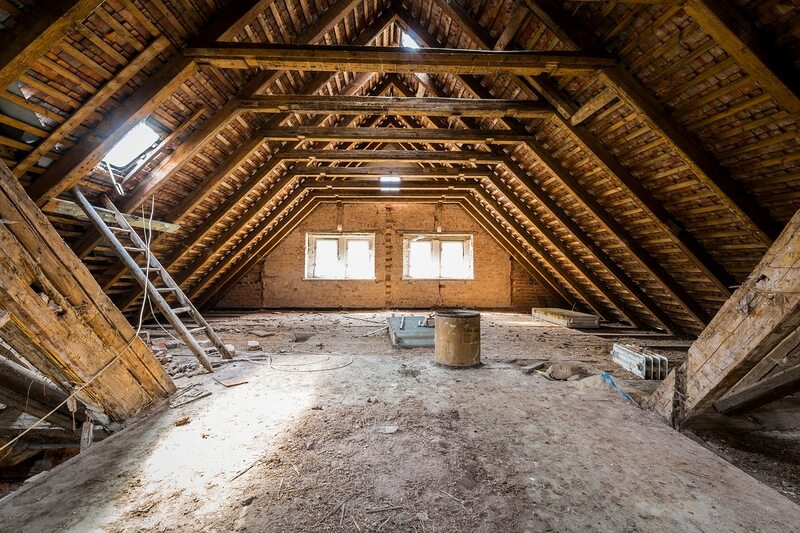 This is a waste of perfectly good space that can be turned into an additional room and have a much better use, not to mention the additional value you would get for your home if you invest in attic transformation. Before you jump into the renovation there are some things you might want to consider when it comes to attic transformation. Turning your attic into a living space means that you will have to make some constructional changes. Starting with improved insulation and structural reinforcement. This is especially important if you are planning to add a bathroom or put some heavy furniture in. So reinforcing the structure and beams is an absolute must. This is definitely the first step, to have the structure prepared for whatever changes you are about to make. And as for insulation, spray foam might be a bit costly but it is definitely one of the best solutions. As you know your attic might be the coldest or the warmest space in your home, and since we are aiming to get the optimal temperature insulation is key. Much like constructional improvements, the electrical ones are just as important. Turning your attic into a living space means that you will probably need a bit more sockets. So while you have everything stripped down make sure you get the rewiring done as well, so that you can utilize the whole space as you intended to. You should leave this to professionals, so as not to overload your switchboard with all the additional power sockets. Now, considering that this is still the attic it is important that all the wiring you are about to run is also well insulated so that in case of potential roof leakage there is no immediate danger. When converting your attic into living space you need to take air quality as well as light into consideration. You will need a quality air conditioner so that you can maintain the adequate temperature and fresh air flow. And when it comes to light, you might want to consider adding additional windows if the space seems too dark. Skylights are also a great option for introducing more sunlight into your attic. Like any space conversion light and fresh air play an important role so don’t overlook this aspect. It will make the space more comfortable, and healthier for you and your family. The biggest decision is, of course, what the purpose of the space is going to have. This has a detrimental factor on how you are going to convert it. It can be a small apartment if you add a bathroom and a small kitchen. This can be a great option for rental. On the other hand, if you don’t need that extra money you can go for a more personalized option likes reading room for yourself or a playroom for your kids. The rest of construction and design depends solely on your decision regarding the purpose of the space. 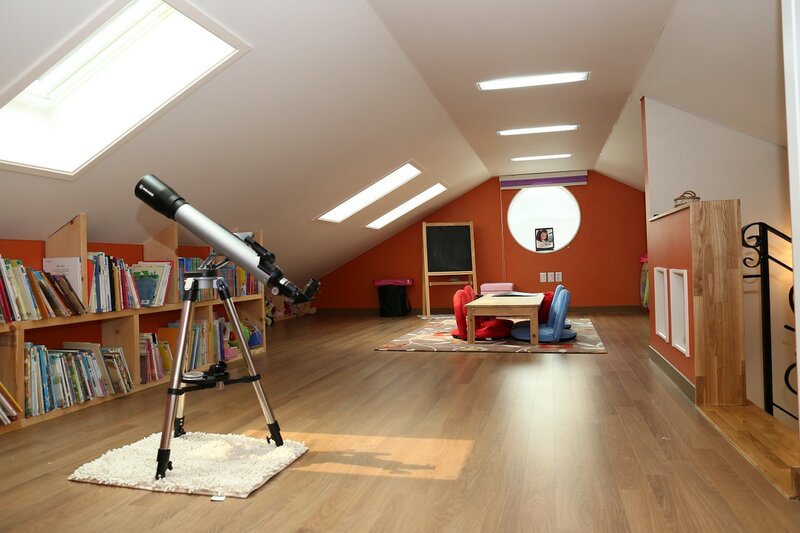 Converting your attic into living space also means that you need to think about access. Even if you create the most beautifully designed space if the stairs leading there are not adequate. In most houses the staircase leading to the attic is concealed, or are not much to look at. So this is another revamping project you should consider taking on. You can consider a concept that will match the purpose of the room perfectly with a complimentary design that will work well with the rest of your home decor. By investing in the perfect staircase the whole attic space will match your home perfectly, the stairs will be a part of the decor that extends to the newly added living space. You are now ready to turn your attic into an ideal living space for both you and your family. Regardless of the purpose you designate for it you can be sure that it will be a safe place both for living and working.